Joint Event Historical Annual Open House. Fairfield County celebration of Fairfield County Airport. 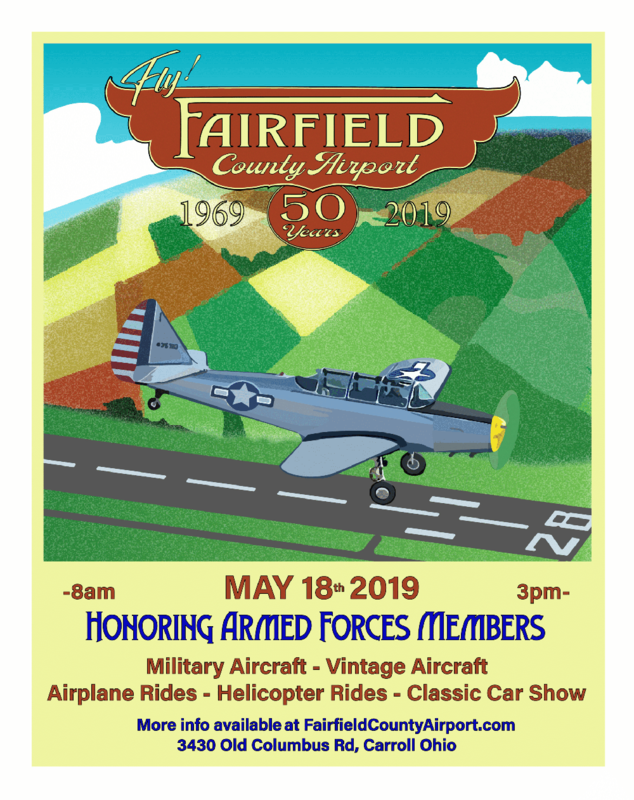 The Historical Aircraft Squadron, Inc. is an all- volunteer, non-profit organization dedicated to the restoration, display and operation of former military aircraft and related equipment in our hangar/ museum located at the Fairfield County Airport. The squadron was formed in 1994 by a small group of individuals who shared this common interest. Membership has grown and we currently have members representing a wide variety of ages, interests, talents and volunteer skills. Members and visitors are encouraged to participate in activities and events as well as to just stop by to "hang around" and enjoy the atmosphere of the aircraft and museum displays. We are a work in progress so there is always something new to experience. The hangar is the focal point of the Squadron's activities and is located north of Lancaster at the Fairfield County Airport (LHQ) on the east side of Route 33A.